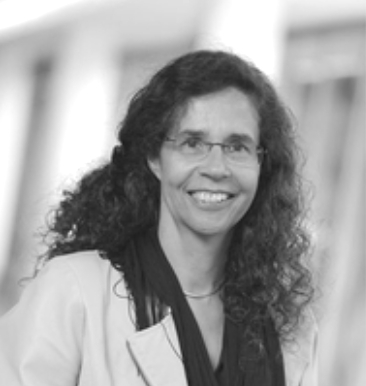 Viola Vogel is a Professor and Chair of the Department of Health Science and Technology heading the Laboratory of Applied Mechanobiology at the ETH Zürich, Switzerland. Trained as a Physicist at Frankfurt University and after completing her graduate research at the Max-Planck Institute for Biophysical Chemistry, she spent two years as postdoctoral fellow in the Department of Physics at the University of California Berkeley. As faculty member, she joined the Department of Bioengineering at the University of Washington/Seattle (1990) to start a Molecular Bioengineering Program, and moved there through the ranks to Full Professor. She was the Founding Director of the Center for Nanotechnology at the University of Washington (1997-2003) prior to her move to Switzerland in 2004, where she initially joined the Department of Materials and then co-founded the new Department of Health Sciences and Technology (2012). She is a core faculty member of the newly founded Wyss Translational Center Zurich (2015). She exploits nanotechnology tools to decipher how bacteria and mammalian cells and micro-tissues exploit mechanical forces to recognize and respond to material properties and to their native environments. Her experimental and computational discoveries in single molecule and cell mechanics and how protein stretching switches their function, as well as in the field of mechanobiology have a wide range of technical and medical implications, with particular areas of interest in stem cell differentiation, tissue growth and regeneration, angiogenesis and cancer. In collaboration with clinicians, several technologies are currently carried towards preclinical studies. Her research was recognized by major honors and awards, including the Otto-Hahn Medal of the Max-Planck Society 1988, the “First Award” from the Institute of General Medicine (National Institutes of Health USA, 1993-98), the Julius Springer Prize 2006 for Applied Physics, the ERC Advanced Grant (European Research Council 2008-13), the International Solvay Chair in Chemistry Brussels 2012, and an Honorary Degree Doctor of Philosophy from Tampere University, Finland 2012. She also served as Rapporteur for the Max-Planck Society (Physical-Chemical Technical Division 2012-2013), as Panel Member Representing the European Research Council at the World Economic Forum in Davos (2013), as Jury Member for the Queen of Elizabeth Prize for Engineering (2014- present), and is a Member of the World Economic Forum Global Agenda Council in Nanotechnology (2014-2016).